Research from EFF's Decentralized SSL Observatory has seen many thousands of Superfish certificates that have all been signed with the same root certificate, showing that HTTPS security for at least Internet Explorer, Chrome, and Safari for Windows, on all of these Lenovo laptops, is now broken. Firefox users also have the problem, because Superfish also inserts its certificate into the Firefox root store. This is a serious security issue. For example, shortly after this news became widespread, security researcher Robert Graham was able to extract the certificate from the Superfish adware and quickly cracked the password. With this password, a malicious attacker would be able to intercept encrypted communications on the same network (like at a cafe Wi-Fi hotspot). Uninstalling the software is not enough, because the uninstall does not remove the root certificate. Click Trusted Root Certification Authorities and open Certificates. Scroll down or use find to get to the Superfish, Inc. certificate. Right-click it and select Delete. If you don't see the option to delete it, you may not be running as an administrator (See step 1). This might or might not be needed, but check to be sure. Look for Superfish, if it's there, click it and then click Delete or Distrust. This post originally appeared on the Electronic Frontier Foundation's Deep Links blog with credit to Filippo Valsorda for the how-to guide. 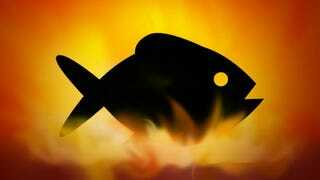 To learn how to test your PC for the Superfish adware, read this how-to guide at Lifehacker.